Frederik February 17, 2013 Comment? 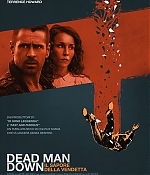 Some great new production stills, alongside a new poster, for “Dead Man Down” have been added to the gallery with many thanks to Marina for sending them in. Also, a new still from “Passion” has been added with many thanks to Lindsey. 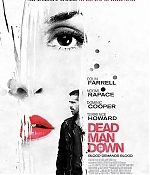 Edit: More stills from “Dead Man Down” have been added with many thanks to Daphne. There’s also a new poster from Italy and a new poster for “Passion” from Hong Kong.